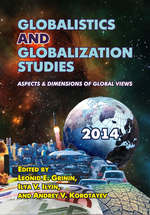 Globalistics and Globalization Studies: Aspects & Dimensions of Global Views. Yearbook / Edited by Leonid E. Grinin, Ilya V. Ilyin, and Andrey V. Korotayev. – Volgograd: ‘Uchitel’ Publishing House, 2014. – 368 pp. More.